John Petrucci, Guitar, Backing Vocals - Mike Portnoy, Lyricist, Drums, Percussion, Backing Vocals - Derek Sherinian, Keyboards - Kevin Shirley, Producer, Engineer - Leon Zervos, Masterer - Rich Alvy, Assistant Engineer - Jason Reddy, Contributor - Dream Theater, Composer, MainArtist - James LaBrie, Percussion, Vocals - John Myung, Bass Guitar - Vinnie Kowalski, Additional Engineer - Alex Goodison, Assistant Engineer - Ian Dyckoff, Assistant Engineer Copyright : 1998 Elektra Entertainment Group, A Division of Warner Communications Inc. for the United States and WEA International Inc. for the world outside of the United States. 1998 Elektra Entertainment Group, A Division of Warner Communications Inc. for the United States and WEA International Inc. for the world outside of the United States. John Petrucci, Guitar, Backing Vocals - Mike Portnoy, Drums, Percussion, Backing Vocals - Derek Sherinian, Keyboards - Kevin Shirley, Producer, Engineer - Leon Zervos, Masterer - Rich Alvy, Assistant Engineer - Jason Reddy, Contributor - Dream Theater, Composer, Lyricist, MainArtist - James LaBrie, Percussion, Vocals - John Myung, Bass Guitar - Vinnie Kowalski, Additional Engineer - Alex Goodison, Assistant Engineer - Ian Dyckoff, Assistant Engineer Copyright : 1998 Elektra Entertainment Group, A Division of Warner Communications Inc. for the United States and WEA International Inc. for the world outside of the United States. 1998 Elektra Entertainment Group, A Division of Warner Communications Inc. for the United States and WEA International Inc. for the world outside of the United States. John Petrucci, Guitar, Backing Vocals - Mike Portnoy, Drums, Percussion, Backing Vocals, Writer - Derek Sherinian, Keyboards - Kevin Shirley, Producer, Engineer - Leon Zervos, Masterer - Rich Alvy, Assistant Engineer - Dream Theater, Writer, MainArtist - James LaBrie, Percussion, Vocals - John Myung, Bass Guitar - Vinnie Kowalski, Additional Engineer - Alex Goodison, Assistant Engineer - Ian Dyckoff, Assistant Engineer Copyright : 1998 Elektra Entertainment Group, A Division of Warner Communications Inc. for the United States and WEA International Inc. for the world outside of the United States. 1998 Elektra Entertainment Group, A Division of Warner Communications Inc. for the United States and WEA International Inc. for the world outside of the United States. John Petrucci, Guitar, Backing Vocals, Writer - Mike Portnoy, Drums, Percussion, Backing Vocals - Derek Sherinian, Keyboards - Kevin Shirley, Producer, Engineer - Leon Zervos, Masterer - Rich Alvy, Assistant Engineer - Dream Theater, Writer, MainArtist - James LaBrie, Percussion, Vocals - John Myung, Bass Guitar - Vinnie Kowalski, Additional Engineer - Alex Goodison, Assistant Engineer - Ian Dyckoff, Assistant Engineer Copyright : 1998 Elektra Entertainment Group, A Division of Warner Communications Inc. for the United States and WEA International Inc. for the world outside of the United States. 1998 Elektra Entertainment Group, A Division of Warner Communications Inc. for the United States and WEA International Inc. for the world outside of the United States. John Petrucci, Guitar, Backing Vocals - Moore, Writer - Mike Portnoy, Drums, Percussion, Backing Vocals - Derek Sherinian, Keyboards - Kevin Shirley, Producer, Engineer - Leon Zervos, Masterer - Rich Alvy, Assistant Engineer - Dream Theater, Writer, MainArtist - James LaBrie, Percussion, Vocals - John Myung, Bass Guitar - Myung, Writer - Portnoy, Writer - PETRUCCI, Writer - Vinnie Kowalski, Additional Engineer - Alex Goodison, Assistant Engineer - Ian Dyckoff, Assistant Engineer Copyright : 1998 Elektra Entertainment Group, A Division of Warner Communications Inc. for the United States and WEA International Inc. for the world outside of the United States. 1998 Elektra Entertainment Group, A Division of Warner Communications Inc. for the United States and WEA International Inc. for the world outside of the United States. Derek Sherinian, Composer, Keyboards - Kevin Shirley, Producer, Engineer - Leon Zervos, Masterer - Rich Alvy, Assistant Engineer - Jason Reddy, Contributor - Dream Theater, MainArtist - Vinnie Kowalski, Additional Engineer - Alex Goodison, Assistant Engineer - Ian Dyckoff, Assistant Engineer Copyright : 1998 Elektra Entertainment Group, A Division of Warner Communications Inc. for the United States and WEA International Inc. for the world outside of the United States. 1998 Elektra Entertainment Group, A Division of Warner Communications Inc. for the United States and WEA International Inc. for the world outside of the United States. John Petrucci, Guitar - Mike Portnoy, Drums, Percussion - Derek Sherinian, Keyboards - Kevin Shirley, Producer, Engineer - Leon Zervos, Masterer - Rich Alvy, Assistant Engineer - Jason Reddy, Contributor - Dream Theater, Composer, MainArtist - James LaBrie, Percussion - John Myung, Bass Guitar - Vinnie Kowalski, Additional Engineer - Alex Goodison, Assistant Engineer - Ian Dyckoff, Assistant Engineer Copyright : 1998 Elektra Entertainment Group, A Division of Warner Communications Inc. for the United States and WEA International Inc. for the world outside of the United States. 1998 Elektra Entertainment Group, A Division of Warner Communications Inc. for the United States and WEA International Inc. for the world outside of the United States. Mike Portnoy, Composer, Drums, Percussion - Kevin Shirley, Producer, Engineer - Leon Zervos, Masterer - Rich Alvy, Assistant Engineer - Jason Reddy, Contributor - Dream Theater, MainArtist - Vinnie Kowalski, Additional Engineer - Alex Goodison, Assistant Engineer - Ian Dyckoff, Assistant Engineer Copyright : 1998 Elektra Entertainment Group, A Division of Warner Communications Inc. for the United States and WEA International Inc. for the world outside of the United States. 1998 Elektra Entertainment Group, A Division of Warner Communications Inc. for the United States and WEA International Inc. for the world outside of the United States. John Petrucci, Guitar, Backing Vocals - Mike Portnoy, Drums, Percussion, Backing Vocals - Derek Sherinian, Keyboards - Kevin Shirley, Producer, Engineer - Leon Zervos, Masterer - Rich Alvy, Assistant Engineer - Dream Theater, Writer, MainArtist - James LaBrie, Percussion, Vocals - John Myung, Bass Guitar, Writer - Vinnie Kowalski, Additional Engineer - Alex Goodison, Assistant Engineer - Ian Dyckoff, Assistant Engineer Copyright : 1998 Elektra Entertainment Group, A Division of Warner Communications Inc. for the United States and WEA International Inc. for the world outside of the United States. 1998 Elektra Entertainment Group, A Division of Warner Communications Inc. for the United States and WEA International Inc. for the world outside of the United States. John Petrucci, Guitar, Backing Vocals, Writer - Mike Portnoy, Drums, Percussion, Backing Vocals - Derek Sherinian, Keyboards - Kevin Shirley, Producer, Engineer - Leon Zervos, Masterer - Rich Alvy, Assistant Engineer - Sherinian, Writer - Labrie, Writer - Dream Theater, Writer, MainArtist - James LaBrie, Percussion, Vocals - John Myung, Bass Guitar, Writer - Vinnie Kowalski, Additional Engineer - Alex Goodison, Assistant Engineer - Ian Dyckoff, Assistant Engineer Copyright : 1998 Elektra Entertainment Group, A Division of Warner Communications Inc. for the United States and WEA International Inc. for the world outside of the United States. 1998 Elektra Entertainment Group, A Division of Warner Communications Inc. for the United States and WEA International Inc. for the world outside of the United States. Jay Beckenstein, Alto Saxophone - John Petrucci, Guitar, Backing Vocals, Writer - Mike Portnoy, Drums, Percussion, Backing Vocals - Derek Sherinian, Keyboards - Kevin Shirley, Producer, Engineer - Leon Zervos, Masterer - Rich Alvy, Assistant Engineer - Dream Theater, Writer, MainArtist - James LaBrie, Percussion, Vocals - John Myung, Bass Guitar - Vinnie Kowalski, Additional Engineer - Alex Goodison, Assistant Engineer - Ian Dyckoff, Assistant Engineer Copyright : 1998 Elektra Entertainment Group, A Division of Warner Communications Inc. for the United States and WEA International Inc. for the world outside of the United States. 1998 Elektra Entertainment Group, A Division of Warner Communications Inc. for the United States and WEA International Inc. for the world outside of the United States. John Petrucci, Guitar, Backing Vocals, Writer - Mike Portnoy, Drums, Percussion, Backing Vocals - Derek Sherinian, Keyboards - Kevin Shirley, Producer, Engineer - Leon Zervos, Masterer - Rich Alvy, Assistant Engineer - Dream Theater, Writer, MainArtist - James LaBrie, Percussion, Vocals, Writer - John Myung, Bass Guitar - Vinnie Kowalski, Additional Engineer - Alex Goodison, Assistant Engineer - Ian Dyckoff, Assistant Engineer Copyright : 1998 Elektra Entertainment Group, A Division of Warner Communications Inc. for the United States and WEA International Inc. for the world outside of the United States. 1998 Elektra Entertainment Group, A Division of Warner Communications Inc. for the United States and WEA International Inc. for the world outside of the United States. 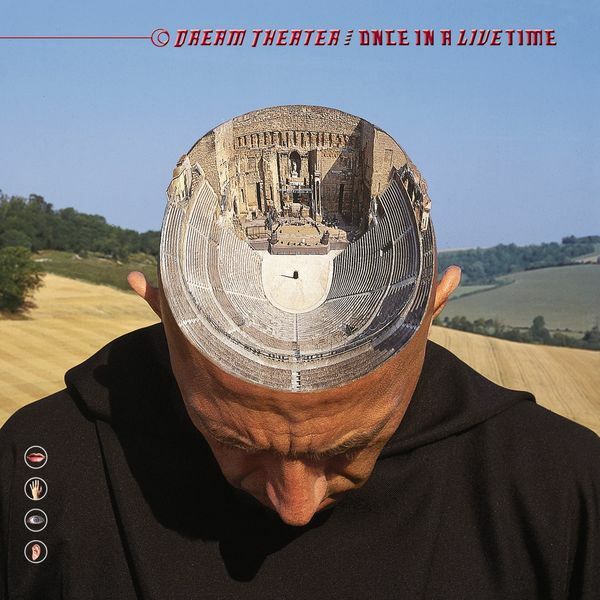 John Petrucci, Guitar, Backing Vocals - Mike Portnoy, Drums, Percussion, Backing Vocals - Derek Sherinian, Keyboards - Kevin Shirley, Producer, Engineer - Leon Zervos, Masterer - Rich Alvy, Assistant Engineer - Labrie, Writer - Dream Theater, Writer, MainArtist - James LaBrie, Percussion, Vocals - John Myung, Bass Guitar - Myung, Writer - Portnoy, Writer - Kevin Moore, Writer - PETRUCCI, Writer - Vinnie Kowalski, Additional Engineer - Alex Goodison, Assistant Engineer - Ian Dyckoff, Assistant Engineer Copyright : 1998 Elektra Entertainment Group, A Division of Warner Communications Inc. for the United States and WEA International Inc. for the world outside of the United States. 1998 Elektra Entertainment Group, A Division of Warner Communications Inc. for the United States and WEA International Inc. for the world outside of the United States. John Petrucci, Composer, Guitar - Mike Portnoy, Drums - Kevin Shirley, Producer, Engineer - Leon Zervos, Masterer - Rich Alvy, Assistant Engineer - Jason Reddy, Contributor - Dream Theater, MainArtist - Vinnie Kowalski, Additional Engineer - Alex Goodison, Assistant Engineer - Ian Dyckoff, Assistant Engineer Copyright : 1998 Elektra Entertainment Group, A Division of Warner Communications Inc. for the United States and WEA International Inc. for the world outside of the United States. 1998 Elektra Entertainment Group, A Division of Warner Communications Inc. for the United States and WEA International Inc. for the world outside of the United States. John Petrucci, Guitar, Backing Vocals, Writer - Mike Portnoy, Drums, Percussion, Backing Vocals - Derek Sherinian, Keyboards - Kevin Shirley, Producer, Engineer - Leon Zervos, Masterer - Rich Alvy, Assistant Engineer - Dream Theater, Composer, MainArtist - James LaBrie, Percussion, Vocals - John Myung, Bass Guitar - Vinnie Kowalski, Additional Engineer - Alex Goodison, Assistant Engineer - Ian Dyckoff, Assistant Engineer Copyright : 1998 Elektra Entertainment Group, A Division of Warner Communications Inc. for the United States and WEA International Inc. for the world outside of the United States. 1998 Elektra Entertainment Group, A Division of Warner Communications Inc. for the United States and WEA International Inc. for the world outside of the United States. John Petrucci, Guitar, Backing Vocals - Mike Portnoy, Drums, Percussion, Backing Vocals - Derek Sherinian, Keyboards - Kevin Shirley, Producer, Engineer - Leon Zervos, Masterer - Rich Alvy, Assistant Engineer - Dream Theater, Composer, MainArtist - James LaBrie, Percussion, Vocals - John Myung, Bass Guitar, Writer - Vinnie Kowalski, Additional Engineer - Alex Goodison, Assistant Engineer - Ian Dyckoff, Assistant Engineer Copyright : 1998 Elektra Entertainment Group, A Division of Warner Communications Inc. for the United States and WEA International Inc. for the world outside of the United States. 1998 Elektra Entertainment Group, A Division of Warner Communications Inc. for the United States and WEA International Inc. for the world outside of the United States. © 1998 Elektra Entertainment Group, A Division of Warner Communications Inc. for the United States and WEA International Inc. for the world outside of the United States. 1998 Elektra Entertainment Group, A Division of Warner Communications Inc. for the United States and WEA International Inc. for the world outside of the United States.